FAST, ACCURATE AND AFFORDABLE DIGITAL CHEMISTRY READERS. GREAT FOR SALTWATER POOLS! Never buy reagents or test strips again. 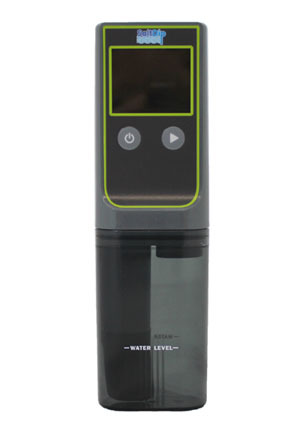 Now anyone can test their pool, spa, pond or aquarium water in seconds and have confidence in the results – no color matching required. Simply collect water sample with onboard cup, place sensor in water sample, and press “start”. Digital display will show your results in seconds. SaltDip 2-in-1 reader measures salt content and water temperature (F or C) faster and easier than any other device on the market. No calibration required.